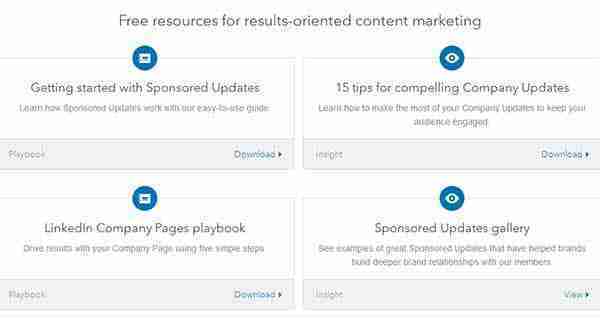 Sponsored updates allow you to target you audience and set a campaign budget for each sponsored update. If you have advertised with Facebook’s sponsored stories than you will understand the value in this type of advertising. LinkedIn continues to be our favorite place to reach business professionals and work opportunities. As a online advertising platform, LinkedIn has been relatively constant over the past year as a leader in favored communications, with the exception of the short release of a trail ad format in the summer of 2013. Today, our LinkedIn’s ad format, called “Sponsored Updates,” follows the trend of promoted Ad content or on-line content marketing, even though the ad placements are classified as ads and priced on a cost-per-click basis. Bidders have the choice to pay-per-click by entering the cost per click (amount you feel comfortable paying). Paying per click is a marketing industry accepted practice for most performance marketing goals where ROI is important. One fundamental principal to keep in mind with LinkedIn Sponsored Updates, advertisers only pay 1 cent more than the next highest Ad bidder. In summary, you most likely won’t pay the maximum bid, but it’s a good practice to assume you might. Hire a professional to give you guidance as you up on spend on the LinkedIn Platform. I can help you drive qualified leads to your website’s content with LinkedIn’s native advertising format: Sponsored Updates.